We think it is important that children discover what they like and what their abilities are through learning and experience. Enjoyment is more important than achievement. The toddler program is varied and offers education, theme-oriented learning, sports and games in a variety of ways and always under professional supervision. Toddlers have their own morning program, apart from the group. For toddlers who almost go to elementary school, 10forKIDS offers shortened toddler care, where toddlers are prepared for primary school. This program is offered in addition to regular child care and is also suitable for toddlers who are already going do day care at another place. The shortened toddler care program is only offered at our location in Vlaardingen. The opening hours can be found at the information about our locations of The Hague and Vlaardingen. Prepares your child for school in a safe, homely environment where challenge and play alternate. The earlier children are exposed to a foreign language, the greater their chances are for fluency. ABC English & Me is an exciting mix of music and movement activities proven to help teach young children English while at play! Created by Kindermusik International, ABC English & Me combines over 30 years of experience with the most current early language learning methodologies, aiming to make a foreign language your own. During the thematic 30 minute lessons the children hear lots of spoken English because the puppet only speaks English… The lessons are very interactive and stimulate the children to use English vocabulary and to express themselves in a lively and supportive environment. They have lots of fun in what they see and what they sing. 2. 1, 2, 3, Go! Every now and then we organize parent-child lessons. Parents can participate in the class. Children really enjoy this! 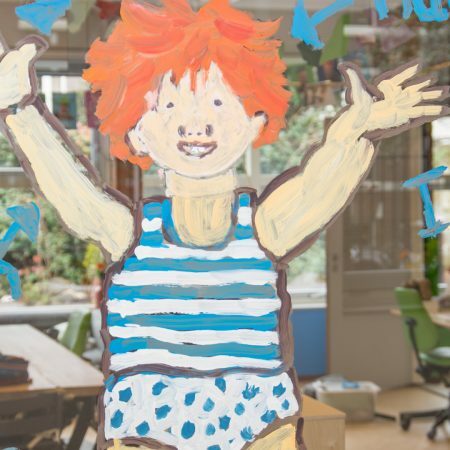 Do you want to learn more about the short pre-school program at 10forKIDS Vlaardingen? Do not hesitate to contact us! You can reach us by phone, or you can use the buttons below.